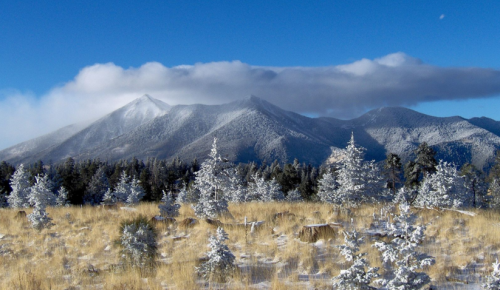 If you would like to stand in the shadow of the tallest mountain range in the State of Arizona while enjoying the immense collection of aspen trees touched by gold underneath the autumn sun, you must plan a visit to the Town of Flagstaff. At an elevation of approximately 7,000 feet, you will have the ability to submerge yourself in a majestic array of alpine scenery, enjoy a walk through a forest with a vast array of fall foliage, and watch the wildlife in and around the area prepare their habitats for the upcoming winter. If you are fascinated by the spectacular natural views of the autumn months and want to experience this beauty up close and personal in the State of Arizona, you must plan a visit to Sedona’s Cathedral Rock. This natural wonder is nestled within the Coconino National Forest, which is located in Yavapai County. Not only will you get to experience the beauty of the redbed sandstone from which the rock is carved, you will also get to witness the vast array of purples, reds, and golds lining the limbs of the surrounding trees. You may hike, bike, or camp out around this beautiful rock. 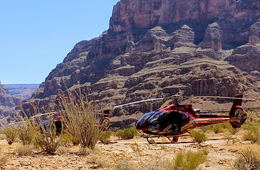 The South Rim of the National Grand Canyon is another wonderful destination for families that have a desire to experience a little off-season adventuring in the State of Arizona. 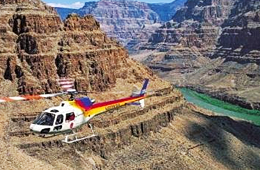 While visiting the national park, you may take a hike on the Greenway Trail, visit the Yavapai Observation area, or take a Grand Canyon helicopter tour to observe the beauty of the area from the wide, open sky! 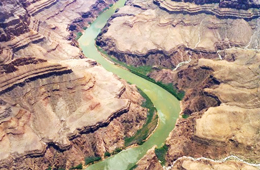 If you have an interest in visiting the State of Arizona during the off-season months and would like to learn about various types of adventures that you may embark on, click HERE.